I come from a small temple city in the south of India. When I arrived in Zurich to take up a postdoc position in crystallography at ETH after a degree in physics it was my first experience of living abroad. The thermic shock was much worse than the cultural shock – I lost 40°C in that first plane trip. 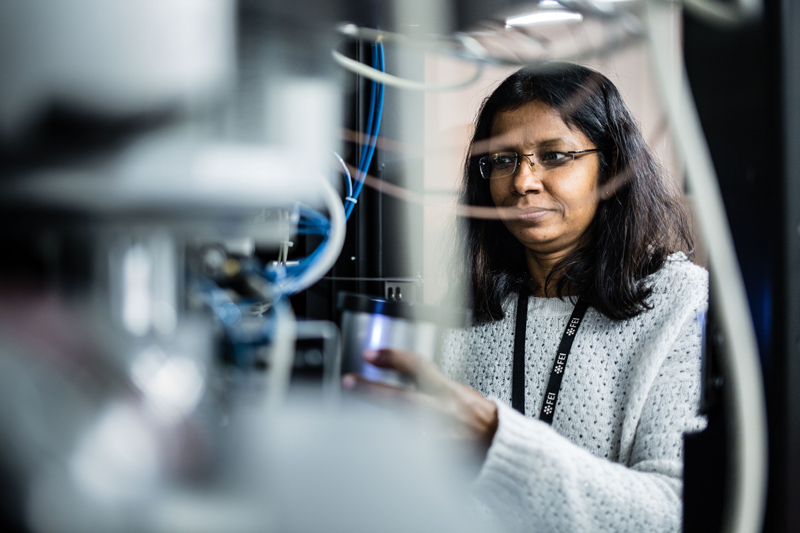 That initial contact with Europe also made me realise the importance of electron microscopy, and that’s when I decided to dedicate my career to the technique. I joined the National Institute of Health (NIH) in the US where I learnt Cryo-Electron Microscopy. I had the best mentors and colleagues, who were very dedicated to their work and would spend hours teaching me everything on this technique. The more I knew about this technique, the more convinced I was to have chosen the right path. After my time in the US, I landed in Grenoble. Grenoble is one of the best places to pursue a career in Electron Microscopy, as it has a long-standing history in this technique. I had fruitful career stops at EMBL and IBS during which the field of cryo-EM evolved enormously. I joined the ESRF in September 2017 to be in charge of the new CRYO-EM facility: I was in the right place at the right time! My job at the ESRF seems like destiny. My role is to run the facility, give my advice on the projects and help users to obtain their high-resolution cryo-EM data. It is early days but I am already thriving in my job."